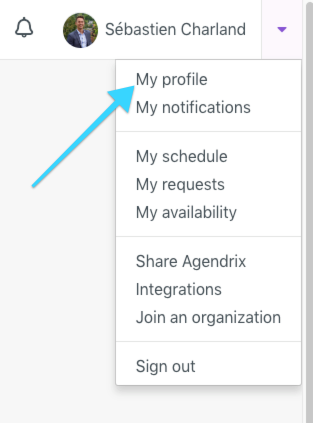 You must log on our web application (agendrix.com) to change these settings in your profile. Accessible on the top right corner of the screen. The name of the main City, Country or Region using it. 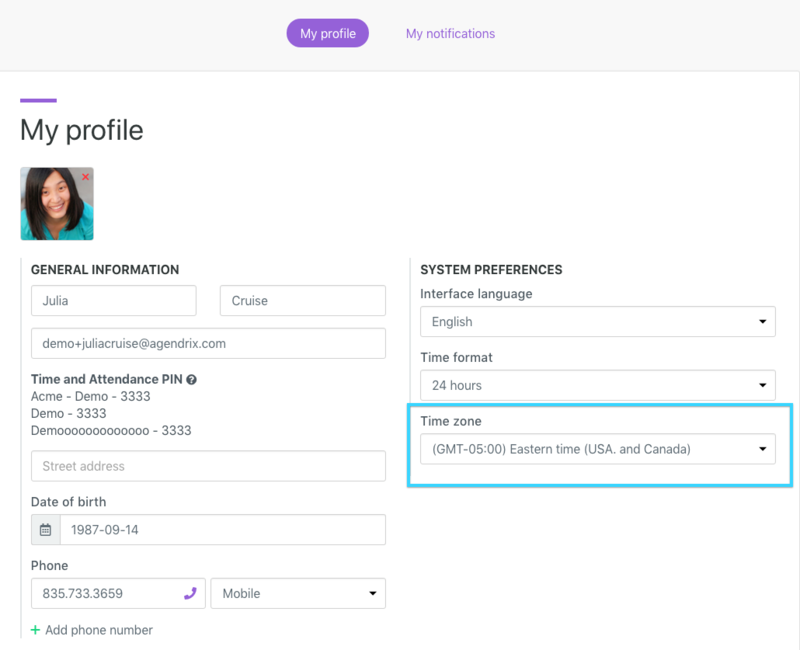 Mobile app users (smart phones and tablet computers) also need to make sure their device’s time zone is selected appropriately to avoid working hours discrepancies.